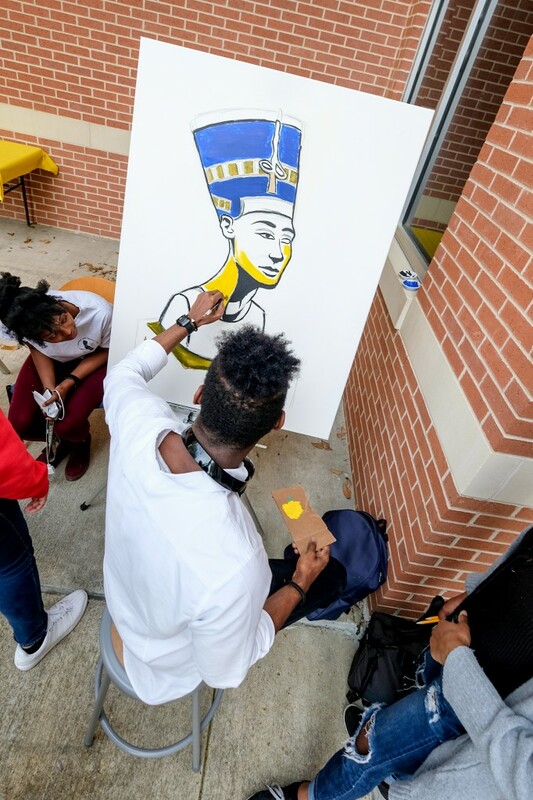 Inside and outside Johnson Hall, creativity was in full bloom at “The Art Spot: Each One Teach Many” event hosted by the Jackson State University College of Education and Human Development, Gallery1 and Kappa Pi, last Wednesday. 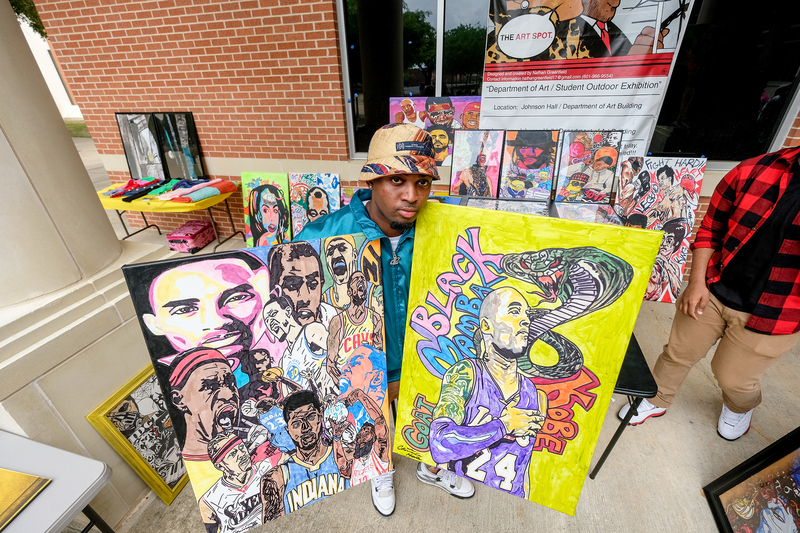 Students from Blackburn Laboratory Middle School, community artists, and JSU students displayed their innovative talents through vibrant paintings and drawings, spoken word, fashion design and hip-hop performances. Dr. Daniel Watkins, dean of the College of Education, voices praise for McCarthy, a former doctoral student of his. He also acknowledges that the event “strengthens our collaboration” and continues to give Blackburn students a unique feel for Jackson State University. In February, McCarthy and students from the College of Business and JSU’s creative arts collective, OutSpoken did a pop-up exhibition at Blackburn and participated in the middle-school’s Black History Month Program. From there, an idea for an art spot alliance was birthed. Although the University’s Art Spot has occurred monthly since October, McCarthy and Watkins thought featuring the Blackburn students would be beneficial for all. “This is our first time having the Blackburn Art Spot, and it means a lot to us. Because we’re right around the corner and that’s our adopted school,” said McCarthy. 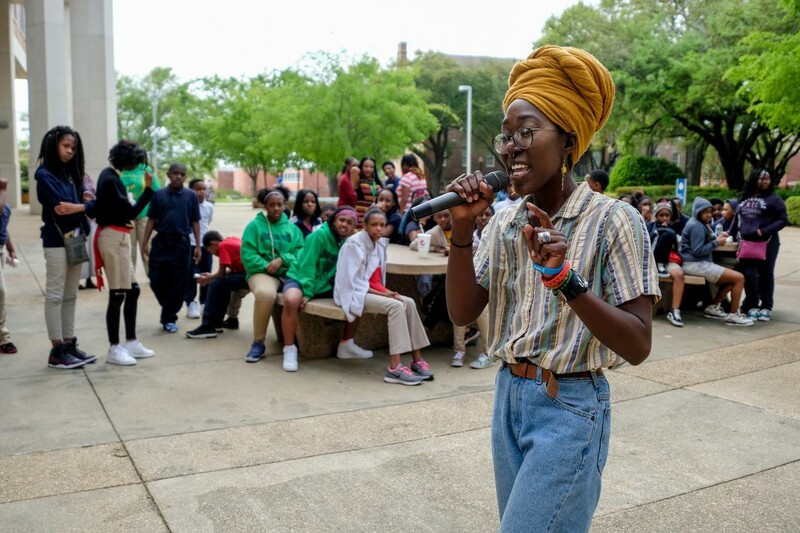 Eighth-grader Toni Brassfield performed a self-penned poem titled “Mind Debate” which revealed the struggles teens face from peer pressure and standing up for the right thing. “I think the art spot is a good idea because it gives kids our age an opportunity to explore different things,” she said adding that the event shows students that they can be anything they want to be. Brassfield further notes the euphoria she feels watching “black individuals” working together towards greatness. “I see when we tear each other down, and for (JSU students) to come over and help us and lift us up, it makes me so emotional,” she said. During the event, Charity Hicks, aka Vitamin Cea, mesmerized the audience and had them rocking to and fro as she showcased her lyrical skills. 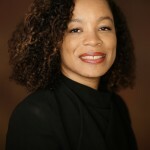 A member of Outspoken, Hicks said that an opportunity for the adolescents to see young adults, who look like them, in college expressing themselves through art; singing, rapping, poetry, etc., should show them that the sky is the limit. Blackburn Assistant Principal Glen Kane shares that one of the primary objectives of the field trip is to have the kids “begin to dream about college and see that it’s a realistic goal.” And it appears to be working. According to Kane, at least three of his students have disclosed their interest in attending the HBCU. 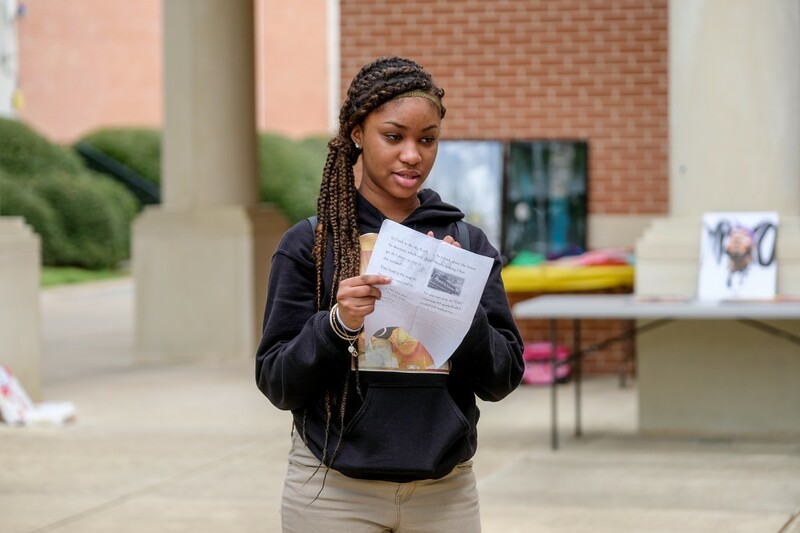 Junior Yemekia Steele, community engagement organizer for JSU galleries, identifies what she observed in the middle-school students who courageously revealed their intimate thoughts through their poetry reading. 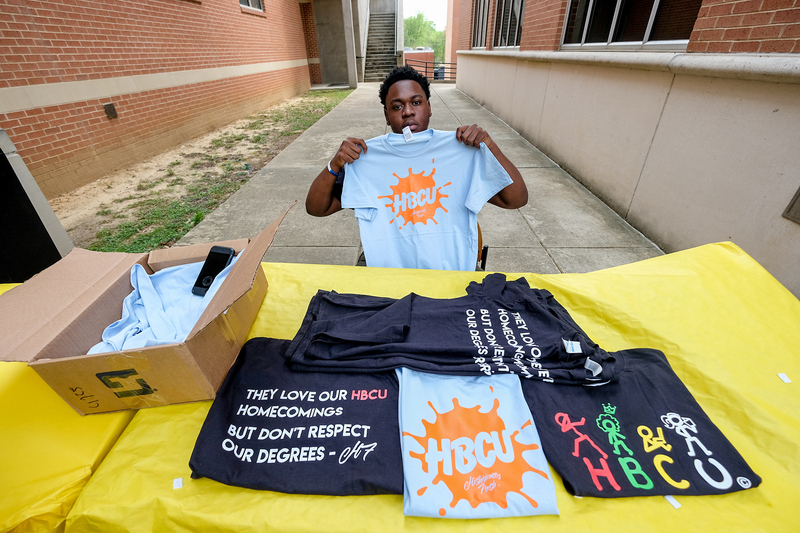 Historically Fresh, the student-founded clothing label whose goal is to spotlight HBCUs and HBCU culture, was on display at the event.